Relaxation & rejuvenation simplified! 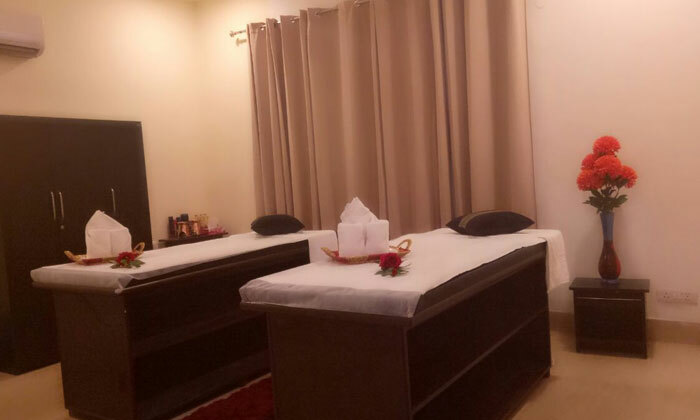 Located in Sushant Lok Phase 1, Gurgaon, AM Bliss Ayurvedic Spa caters to ever spa service for their customer. They have a variety of full body massages, Ayurvedic massages, steam & shower room for both men & women. The services are based on the time tested treatments of Ayurveda, ensuring you receive holistic treatments. The trained and skillful therapists and masseurs help the customer reach a state of relaxation with the help of branded products and modern equipments.